The winter months are calm in Mexico Beach, Florida, meaning you and your family have the sugar-white beaches of the Gulf to yourself; no noise or traffic to worry about! 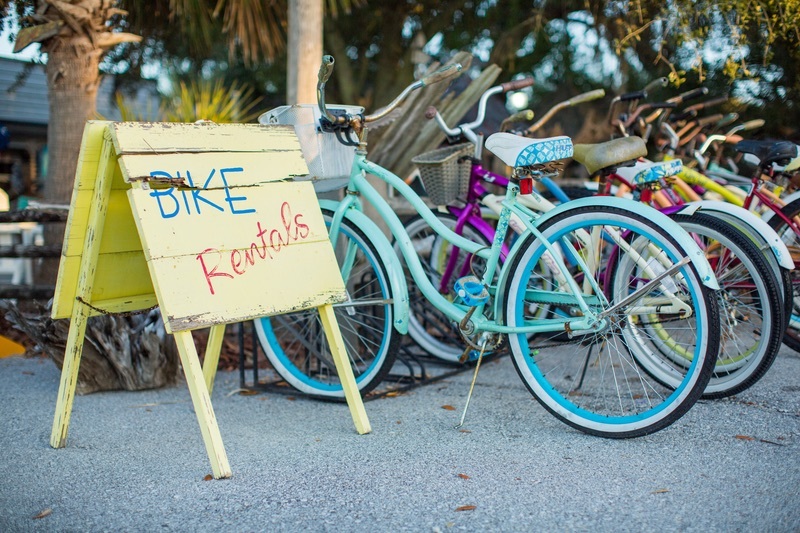 Whether you go for a bike ride, read a book in the sun and enjoy the breeze, or take an evening stroll along the water, the peaceful waves crashing against the shore are sure to be the only sounds you hear. The birds have flown south for the winter and so should you! Mexico Beach is a nature lover’s paradise, offering amazing eco-tourism filled with amazing bird-watching opportunities. Paddling in the lakes, rivers or bay, or hiking in the state park brings you up close to the local wildlife. Some of the best bird-watching in the world is found here in Northwest Florida along the Great Florida Birding Trail. 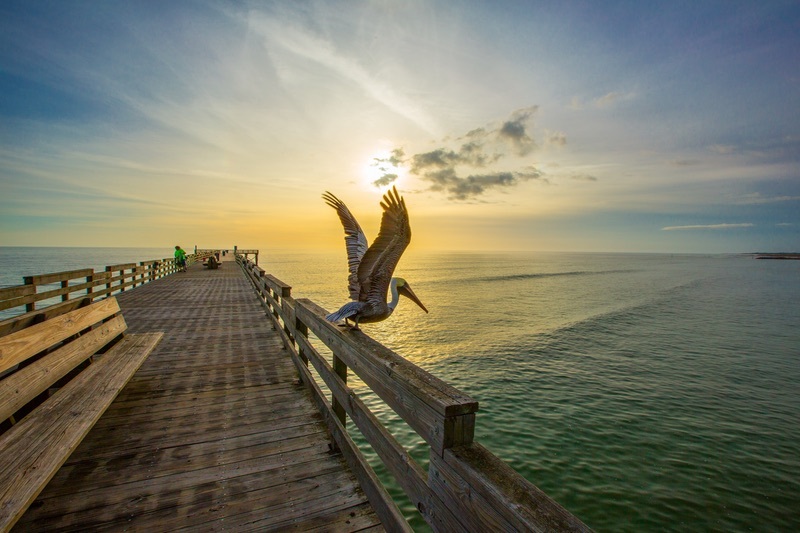 Mexico Beach is home to 150 species of birds. Download our free Field Guide and see if you can find them all on your trip! Winter in Mexico Beach means it’s time for some unique events, including our New Year’s Eve Celebrate Twice and Scavenger Hunt, and the Annual Mexico Beach Gumbo Cook-Off each February! Throughout the season, special day trips are also hosted for our winter residents, including trips to Biloxi and Wind Creek Casinos, and a visit to the Florida Capitol Museum and Governor’s Mansion. Fewer visitors coming to Northwest Florida in the off-season means many rentals offer great deals on places to stay in Mexico Beach! Check out the all of the inns, motels, and vacation rentals on our Places to Stay page for the best prices of the year! There is nothing better than watching the sunset on the Gulf, but watching the sun dip below the horizon during the winter is truly unforgettable. The cooler temperatures make winter sunsets breathtaking, with clear skies and the ideal angle as the sun lowers right into the water. 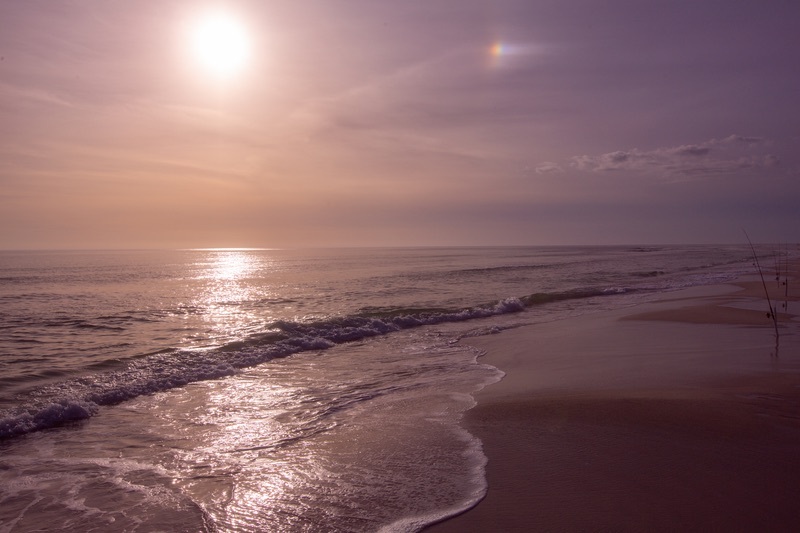 Grab a jacket and a chair and head down to the beach to take in this natural beauty. Get all of your holiday shopping done in one place: the locally owned shops and markets in Mexico Beach! Find unique and beautiful gifts for everyone on your list with items spanning from gifts and souvenirs to artisanal food and fine art. Presents from Mexico Beach are sure to be unforgettable. Escape the city lights and come gaze at the stars above Mexico Beach. Crisp winter nights unaffected by street lights make the stars stand out in the sky. Bundle up, head to the beach, and see if you can find the constellations of Orion, Ursa Major and the North Star, Taurus, and Gemini among the many stars dotting the night sky. Finally, the winter weather in Mexico Beach is perfect! Consider the Unforgettable Coast for your ultimate escape. You won’t have to shovel snow, nor will you be desperately seeking relief from an air conditioner. Cool, sunny days are perfect for taking a walk along the clear waters of the Gulf, while crisp evenings are ideal for a glass of wine and a great meal. Overall, you can’t beat the perfection of Mexico Beach in winter!